BVB emerge from the 2012/13 season with their self-confidence reinforced, even if their dream of European glory remained ultimately unfulfilled. By reaching the final of Europe's premier club competition, the Yellow-Blacks unequivocally demonstrated that they are now a force to be reckoned with in European football. They may have ended a campaign empty-handed for the first time in three years, but the Ruhr district club nonetheless emerged from it with their reputation enhanced. 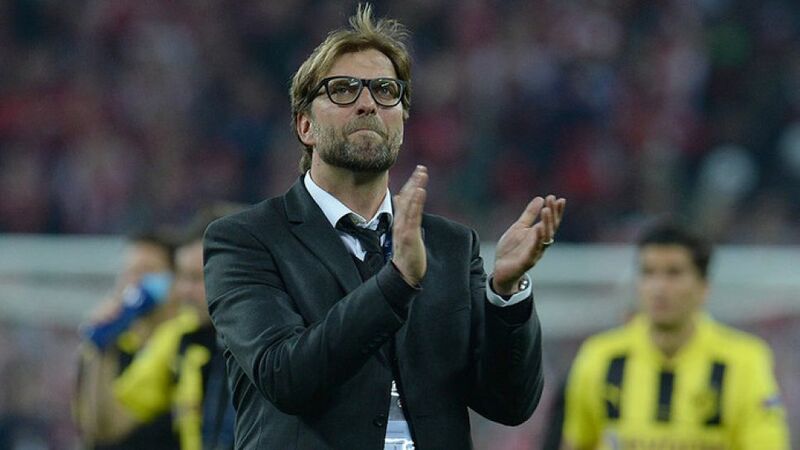 “It went much better than we had imagined,” Klopp acknowledged. Prior to the season, the coach had defined the Champions League as a test of maturity for his two-time Bundesliga champions. “We know we have a duty to pick up points for Germany,” he noted, reflecting on the previous season when they finished bottom of their Champions League group. Improvement was anticipated this time around, but such a triumphant march through Europe certainly wasn't. Indeed, Dortmund's prospects looked anything but rosy when the first step on the ‘Road to Wembley’ pitted them in a group with the English champions Manchester City, Spanish league winners Real Madrid CF and Dutch title-holders AFC Ajax. “Heroes will be born in this group,” predicted Dortmund’s CEO Hans-Joachim Watzke - and he was right. Borussia cruised through the ‘group of death’ unbeaten. The 1-1 draw in Manchester, in spite of the late goal conceded, was a technical and tactical masterclass which reflected the progress this young team had made. “That was maybe our best game of the season,” Klopp said. By then, Europe’s top clubs were starting to take note. Two wins over Shakhtar Donetsk followed, before a 69 thrilling seconds against Malaga CF penned footballing history. So too did Robert Lewandowski, who scored all four goals in the 4-1 home victory over Real Madrid, becoming the first player to achieve the feat in a Champions League semi-final, and the first to put four goals past the nine-time European champions in a single European game. As painful and disappointing as the 2-1 final defeat was, BVB can look back on their season with pride. The all-German showdown at Wembley proved they can more than hold their own against a side generally considered superior in every department. That encounter also laid bare Borussia's main weakness, however. When the team started to show the strain in the second half of a long and tiring season, Klopp had few options on the bench to bring fresh verve to his side. Watzke and sporting director Michael Zorc have announced that they intend to provide more strength in depth next season as they look to close the 25-point gap to Bayern at the top - and their great rivals have already snapped up star player Mario Götze. Six defeats - four at home - and nine draws, left the Yellow-Blacks with little chance of defending their domestic title, but at the end of the day the declared aim of qualifying for the Champions League was achieved. “It's a season which was very good, but not perfect,” summarised Klopp. “We've got room for improvement, particularly in terms of points and goals conceded.” Thus, as they say might say down Wembley way, it is a case of 'keep calm and carry on'.